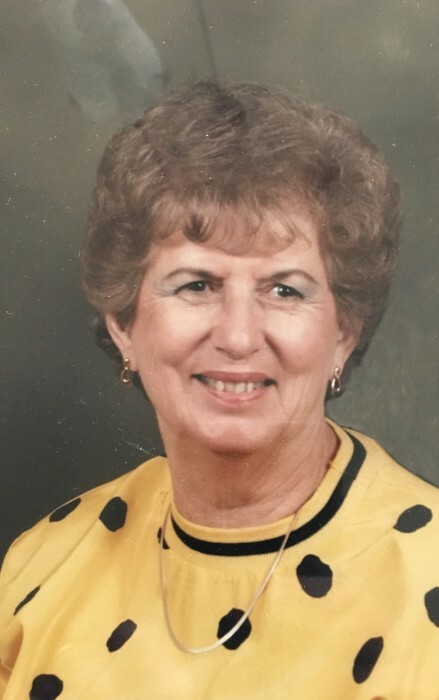 Marie Helen Duran, 95, passed away on April 4, 2019 in Manteca, California. Marie was born on August 13, 1923 in Stockton, California to John and Delfina Brazil. Marie is preceded in death by her husband of 55 years, Manuel and her sisters, Carmel Abrew and Marguerite Abrew-Johnson. Mrs. Duran leaves behind her four sons, Don (Linda) Duran, Gary Duran (Jene Stayner), Jack Duran and Mike (Brenda) Duran. She also leaves behind 4 grandchildren she adored: Kristine Duran, Randel Duran, Lindsey Dyson and Ashley Mattson and 3 great-grandchildren: Andrew Dyson, Alani Mattson and Maverick Mattson. Marie was a lifelong Manteca resident, graduating from Manteca High School in 1942 where she earned her varsity letter in softball. She worked at a local bank in downtown Manteca for many years where she took pride in helping young people open their first bank accounts. Marie was a member of St. Anthony’s Catholic Church, YLI and Soroptomist. She supported both the MRPS and FESM Portuguese communities. Marie had a fun loving personality and enjoyed Wheel of Fortune, Family Feud and Jeopardy and would often watch the same episodes two times in a row. She looked forward to her Friday night card games with her neighborhood girlfriends. Marie loved baseball, specifically the San Francisco Giants, a good joke, pizza and beer, but ultimately it was her grandchildren who were the light of her life.